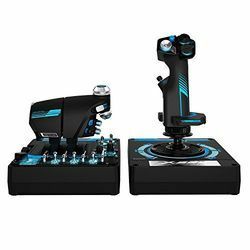 Leading Manufacturer of universal programmer, power engineering modules, 3 dof helicopter simulator, transfer elements, embedded systems - controllers and food technology service from Jaipur. Supports OS Windows 95 / 98 / ME / NT / 2000 / XP Etc. Support 5V and 3.3V low voltage devices, 1.8V chip support through low voltage adapter. ardware platform based on PC and DSP-based motion controller. 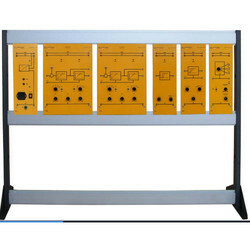 This laboratory has been designed to introduce the fundamentals of Automatic Control Technology. 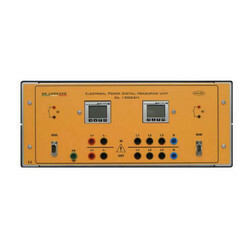 The main functions of processes, controllers and controlled systems are shown on a simulated controlled system, as well as the interactions between the transfer elements of a control loop. Our company offers embedded systems ranging from conventional microcontrollers to PIC & ARM based solutions for both type of our customers such as industry as well as educational. We have completed 8051 family based projects and gadgets with many higher end processor applications with expert design and manipulations. RTOS and real time applications for industrial demands are made possible by us. Food Technology of food technology allows studying the technologies used for the processing of fruit vegetables and milk both in manual and automatic mode with the PLC.The laboratory consists of individual machines or complete systems, including pilot plants for small production units and for research centers in Universities and schools.These pilot plants allow in fact, treating small inlet quantities of raw material.The laboratory is composed of single machines or plants for the preparation of jams and preserves, fruit puree, juices and nectars, tomato paste candied fruit, fruit and vegetables, dried, vegetables and canned food in oil or vinegar liqueurs and infused herbal and fruit milk yogurt and cheese. Geotextiles and related products have many civil engineering applications including roads, airfields, railroads, embankments, retaining structures, reservoirs, canals, dams, bank protection, coastal engineering and construction site silt fences or geotube. Geotextiles are placed at the tension surface to strengthen the soil or sand dune armoring to protect upland coastal property from storm surge, wave action and flooding.Technosys offers various equipments to test thickness, strength, permeability and permeameter of geotextile. Start creating your devices immediately with mikroBasic PRO for PIC compiler and EasyPIC6 development system. Buy Easy Start 1 Kit-PIC and get significant discount. 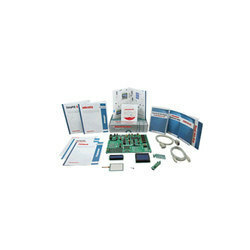 Basic Embedded Lab - Easy Start 1 Kit - 8051Reduce development time for your prototype devices with mikroBasic PRO for 8051 compiler and Easy8051 v6 development system included in Easy Start 1 Kit-8051. Advanced Embedded with 3Kit - 8051Speed up your prototype development with mikroC for 8051 compiler and Easy8051 v6 development system. GSM Development Systems - BasicReduce your GSM-GPRS device design time with the mikroC PRO for 8051 compiler, Easy8051 v6and SmartGM862. GSM Development Systems - AdvancedSpeed up your GSM-GPRS prototype design with the mikroPascal PRO for 8051 compiler,Easy8051 v6 and SmartGM862. 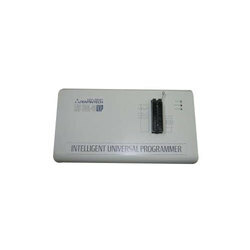 What is mikroProg™?mikroProg™ is a fast USB 2.0 programmer with mikroICD hardware In-Circuit Debugger. Smart engineering allows mikroProg to support PIC10, PIC12, PIC16, PIC18, dsPIC30/33, PIC24 and PIC32 devices in a single programmer! It supports 570 microcontrollers from Microchip. 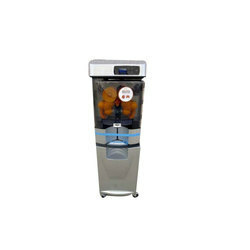 Outstanding performance, easy operation and elegant design will blow your mind. PIC10, PIC12, PIC16, PIC18, dsPIC30/33, PIC24 and PIC32, we have it all covered. You’ll never need another programmer Debug your code and monitor code execution on the chip itself. mikroICD™ technology brings the power of hardware debugging to your favorite mikroE compiler. Compiler Compatibility mikroProg™ is supported with mikroC, mikroBasic and mikroPascal compilers for PIC, dsPIC and PIC32. Design matters Elegant minimalistic design, clean matte white plastic finish and colour indicator LEDs make our programmer the first of it’s kind in the world. mikroProg™ is a lifestyle device. State-of-the-art rock testing equipments manufactured to provide accuracy, reliability and efficiency. 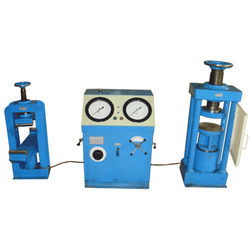 Our range of rock testing machines, include sample preparation, permeability, strength index and In-situ stress test machines.Our advanced rock testing equipments are recommended by renowned civil engineer for their quality and usability. 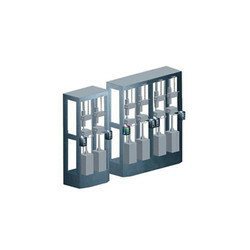 Widest range of advanced rock testing machines from Technosys Systems includes Direct Shear, Pressure Intensifier, Load Frame, Triaxial System and Torsion Shear Test System. Our company provides VLSI and microelectronic systems such as high end technical FPGA boards and CPLD boards, with all other accessories for both types of our customers - industrial as well as educational. 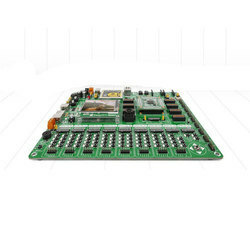 All compatible conventions and necessary development environments such as XILINX etc., are also provided with SPARTAN and VIRTEX boards. 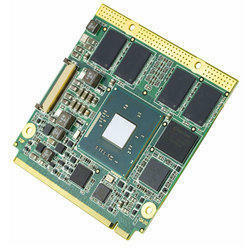 Our VHDL solutions helps in developing FPGA applications accurately. EasyFT90x v7 is a full-featured development board for FTDI Chip’s 32-bit FT90x devices. It contains many on-board modules necessary for developing a variety of applications, including a camera and other multimedia, Ethernet, USB, CAN and more. On-board mikroProg™ programmer and debugger supports over all currently available FT90x devices. The board is delivered with FT900. 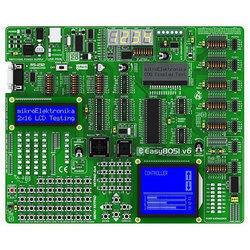 EasyFT90x v7 has modules for all kinds of development. TFT with Touch Panel, along with stereo mp3 codec allow you to develop multimedia applications. There are 2 USB connectors, a USB UART and two Analog inputs on the board as well. Piezo buzzer will help you test your sound signalization, and you can use I2C EEPROM, Serial Flash and microSD card slot to store data. DS1820 and LM35 temp sensor sockets are here too. Looking for Embedded Systems Lab Training Systems & Hardware ?